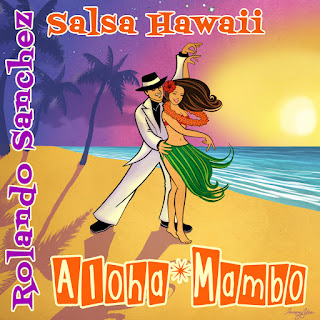 Rolando Sanchez and Salsa Hawaii: Letter from the Mayor's Office of Culture and the Arts! 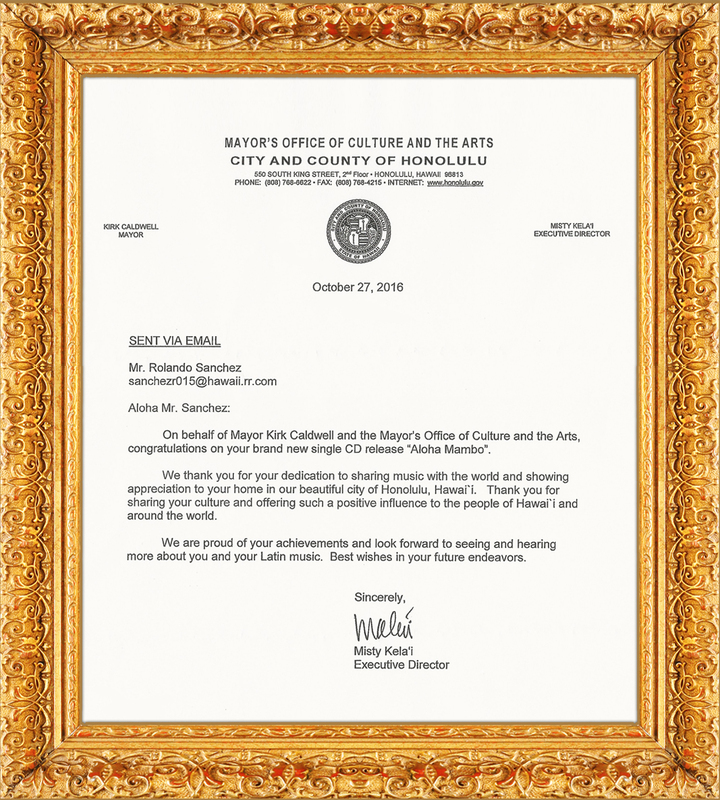 Letter from the Mayor's Office of Culture and the Arts! On behalf of Mayor Kirk Caldwell and the Mayor's Office of Culture and the Arts, congratulations on your brand new single CD release "Aloha Mambo". We thank you for your dedication to sharing music with the world and showing appreciation to your home in our beautiful city of Honolulu, Hawai'i. Thank you for sharing your culture and offering such a positive influence to the people of Hawai'i and around the world. 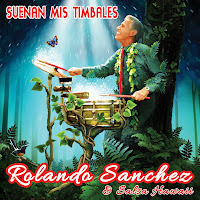 We are proud of your achievements and look forward to seeing and hearing more about you and your Latin music. Best wishes in your future endeavors."